Students will see and take part in the exciting process of how yarn is made from raw wool. 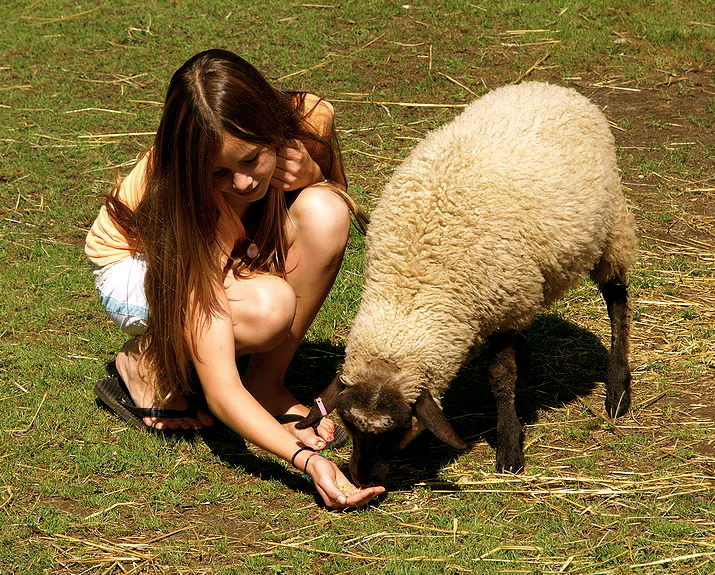 Students will actively discuss shearing the sheep, spinning yarn, producing mittens. Areas of focus will include: carding, spinning on a hand spindle and spinning wheel, dyeing with „kool-aid, knitting and weaving. In small groups, students will team up and using their own simple “spinning tool” spin their own piece of yarn to take home. This is a great compliment to our Farm Animal Program.